She gained her experience in the areas of marketing and admissions in the Berlitz Language Centre in Damascus, where she worked for over 8 years. In the UAE, Rana taught Arabic to adults through an interactive and conversational approach. 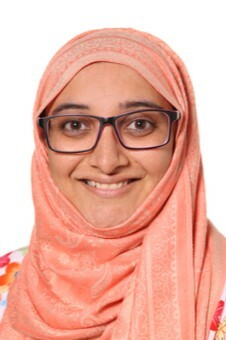 Rana joined the Ajman Academy team in the pre-opening year and is very proud to be part of a leading school in the emirate of Ajman and in the whole country. 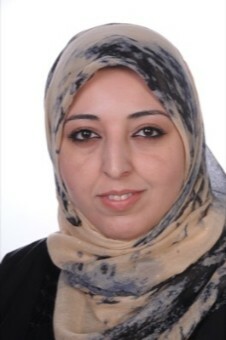 Suzan Issam is from Jordan and was born in UAE, She has studied in Computer College in Dubai and she is fluent in Arabic and English, she has over seven years experience as she worked as an executive and administrative coordinator at Arab Bank PLC. Suzan works within the admissions department. Suzan joined the Ajman Academy team in the first year and is very proud to be part of a leading school in the emirate of Ajman and in the whole country. Georgina is married with two teenage daughters. She has a Post Graduate Certificate in Primary Education and has taught in the UAE for a total of 7 years in Dubai and Ras Al Khaimah. Before that Georgina worked in two prestigious private schools in the UK and was a Senior Biomedical Scientist in the NHS for 11 years. 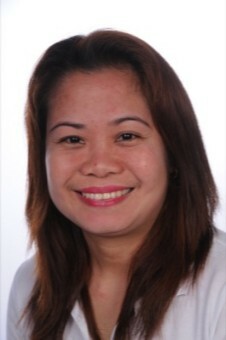 She enjoys living in the UAE and particularly appreciates the year-round sunshine and the friendly atmosphere. Georgina’s passion is language, and she never tires of seeing how children make progress and flourish in a nurturing environment. 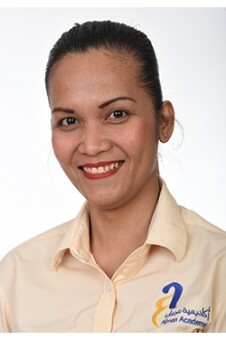 She is proud to be part of the team at Ajman Academy. Reema is a Primary teacher from Jordan; she graduated from Mu'tah University with a qualification in Arabic language and social studies. Her experience varied over more than twenty years between Jordan, Oman and the UAE. 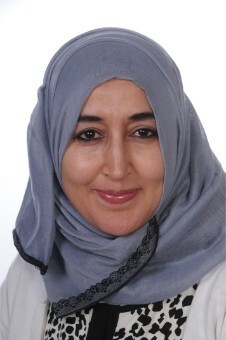 She joined Ajman Academy when it was founded in 2012, where she took the role of “Arabic Studies Coordinator” until 2015. Reema loves her work and has a beautiful relationship with her students and believes that learning happens in an atmosphere of enjoyment, especially during her Arabic lessons. 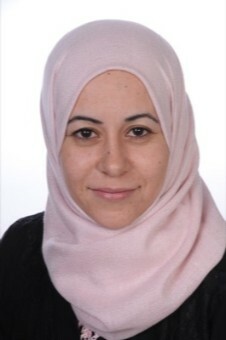 Soumaya Mustafa El Rifai was born in Tripoli - Lebanon. She holds a Bachelor's Degree in Arabic Studies from Lebanese University and is currently pursuing a Masters Degree in Arabic Studies. She has five years of experience teaching in Lebanon and has attended many educational workshops. Soumaya also has four years experience in Dubai, at an International Baccalaureate School teaching the Primary Years Programme. 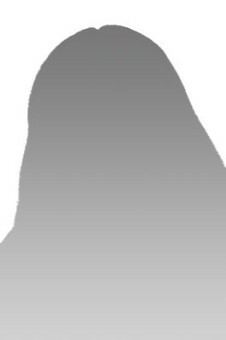 During her career, she has taught Arabic language and Islamic Studies. She uses a wide range of technological teaching techniques to captivate the interest of her students. Soumaya has experience interacting with special needs students and forms good relationships with them. She thinks creatively, which helps her in finding creative teaching techniques to use with her students. Soumaya likes swimming and enjoys most of the sports. Arwa was born and raised in Jordan. She has a Bachelor Degree in the Arabic Language. She has been in UAE since 2013 and worked at Ajman Academy for the last seven years. 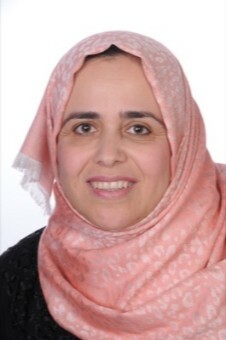 Arwa has 29 years teaching experience which was taken her to many countries such as Oman, Jordan and Saudi Arabia through in primary levels from Grade 1 to Grade 6. Arwa has specialised training in the Special Education field as well as hold an Apple Teacher certificate. Arwa is married and has one daughter and two sons. Arwa’s ethos for teaching is to provide a favourable environment for the students to develop them to be responsible, thinkers and open-minded. Arwa provides innovative lessons through the use of technology and allows her students the opportunity to be creative in their learning experiences. Her students are confident and hold a high level of respect to their peers and community. Arwa always pushes her students to succeed and reach their full academic potential as she believes every student deserves that success. Alia is from Jordan; she is married and a mother. She has graduated from the American University of Sharjah (Education). She took different workshops in education and using resources. 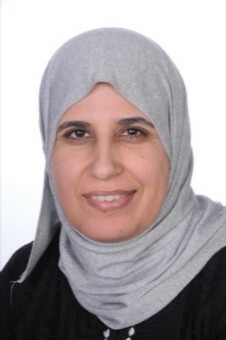 Alia has worked for twenty-six years as a teacher in the Foundation Stage 1 and 2 in UAE and Palestine. Alia believes that the foundation stage is a very important stage in a child’s life, and her role as a teacher is crucial. A Teacher can help to build an educated generation, with self-confidence and independence. She also believes that choosing the right resources and using them correctly, can help to provide a good environment for the child. 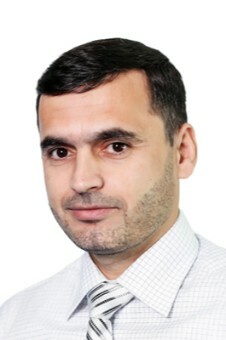 Majeda Mahmoud Namroud is from Lebanon and has lived in the UAE for the last 19 years. 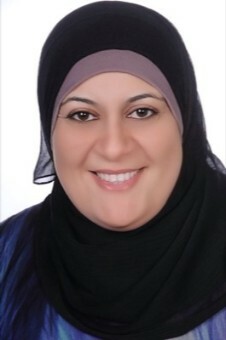 She has three children, Hala (G7), Abdullah (G9) & Maysam is a senior in G12. 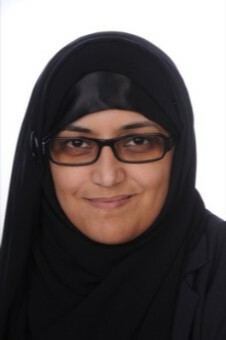 Majeda has worked in many different schools before joining Ajman Academy. She started in Ghassan Kanafani Kindergarten in Lebanon for one year. 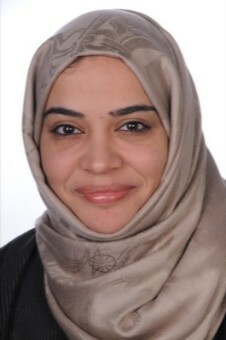 Then after moving to the UAE, she worked as an Arabic Language teacher at Al Reqa School in Sharjah and Al-Hikmah School in Ajman for four years. After that, she started working in Iqraa International school in Sharjah & stayed there for seven years as a teacher and coordinator for the Arabic language in Kindergarten. 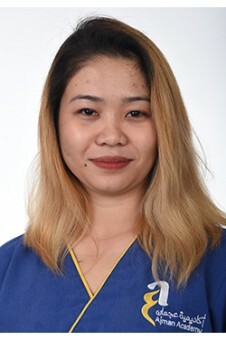 In 2015 she joined Ajman Academy. Working at AJAC has helped build knowledge and provides challenges that allow her to reach her goals every day. Majeda's goal as a teacher is to make the students love the Arabic Language because if they enjoy it, they’ll become interested in it. Another goal of mine is to build a strong relationship with the students & their parents; having a healthy relationship means that the parents trust me with their kids! 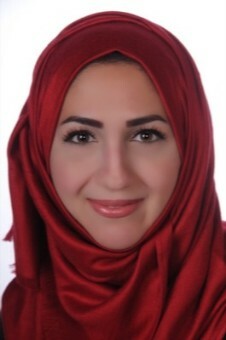 Latifa Hammouch was born in Morocco and holds a Bachelor's Degree in Arabic Literature from the University of Mohammed V in Rabat, Morocco, and holds a Professional Diploma in Teaching from Ajman University in 2019. 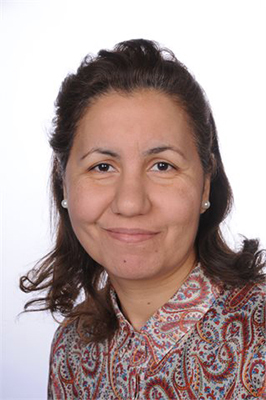 With 17 years of teaching experience both in Morocco and UAE, she has attended many educational workshops and seminars during her teaching career and gained invaluable skills in the field of teaching in both primary and secondary schools. 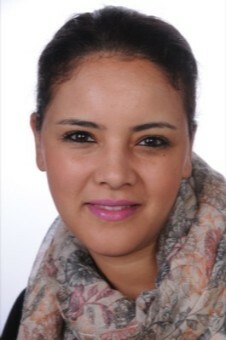 Latifa has over seven years of experience teaching the IB PYP/MYP curriculum. She speaks three different languages: Arabic, French and English. 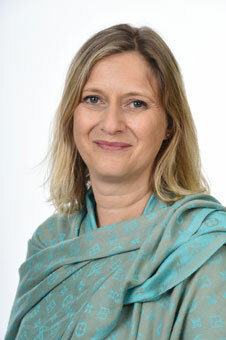 She believes that the teacher has to possess multiple and diverse skills, to have a flexible personality and to deal with students from different cultural backgrounds to help them become independent learners with an inquiry approach and with critical international mindedness while maintaining their cultural heritage. 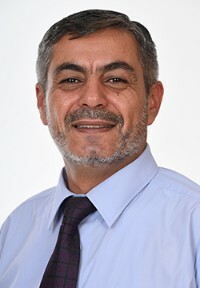 Mabroka is an experienced apple teacher with a demonstrated history in teaching modern languages and Arabic as a second language in international schools. 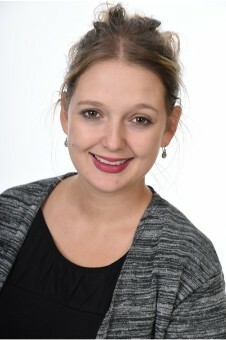 She began her teaching career in 2011 after completing a BA Degree in applied languages at Monastir University, Tunisia. She went on to work at a public school in Tunisia as a secondary teacher for one year and later moved to the UAE after marrying. 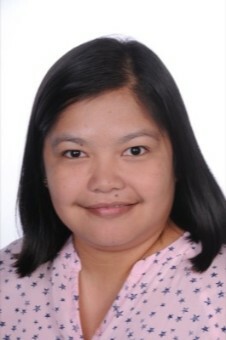 Before joining Ajman Academy, she worked in a learning support role in Dar -Almarefa private school in Dubai. Mabrouka joined Ajman Academy in 2013 and she will tell you that is was one of the best decisions she has ever made. She loves being part of a caring community and proud to be one of the faculty that provides creative, engaging and immersive learning experiences for the students safely and enjoyable. After three years in AJAC Primary Mabrouka moved to the Secondary School and continues to work as an Arabic Teacher. She values most the community spirit at Ajman Academy and the relationships she has built with many parents, and she contributes this to the success and reputation that has been created over the years. Finally, it is the success of every child that studies here that fulfil Mabrouka’s role as a teacher. 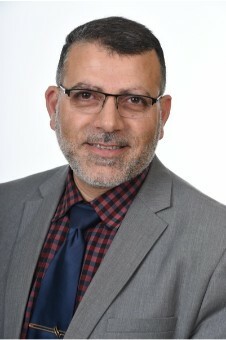 Riham was born and raised in Jordan. 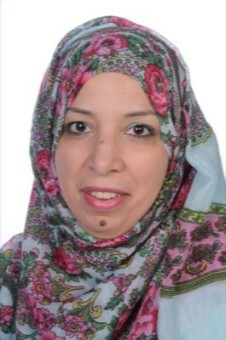 She graduated from Yarmouk University with a Bachelor Degree in Languages and obtained a Professional Diploma in Teaching from Ajman University. 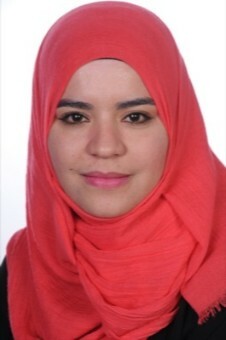 Having begun her teaching career in Jordan, Riham has now been in the UAE since 2008. Her teaching experience has rewarded her the opportunity to teach from Grade 1 to Grade 5 while also being the Teacher Assistant Leader at Ajman Academy for one year. She is married and has a daughter and a son. Riham enjoys leading her students in their learning journey and improves their skills through establishing an enjoyable, safe atmosphere. Her students are engaged and happily stimulated during her fun lessons. She is keen to develop the student's personalities to be global citizens and open-minded. Riham believes that the family provides the first brick in building the child's personality, then comes the school environment. If both family and school work together, then a child's full potential is achieved. Luzaan Joubert (Putter) was born in Pretoria, South Africa. She is married to her husband Jan and lives in Ras Al Khaimah; she is new to the UAE. Luzaan received her Bachelors of Education Degree from The University of Pretoria. She studied for four years (Jan 2011-Dec 2014) to attain my qualification. She started working in Jan 2015 at the high school she went when she was younger. The school’s name is Zwartkop High. It is an Afrikaans school with about 1800 students ranging from Grade 8-12. Here, Luzaan taught all the grades and was the subject coordinator. She feels she will learn a lot of new things here at Ajman Academy and she is looking forward to developing and growing here. Luzaan would like to invest herself in every student within the art department. Create a productive environment where students can learn new things and explore different strategies within the art environment. She aims to bring a lot of new content, knowledge and skills to the students, because of her experience in this subject field.